Please contact us with questions for service at (732) 390-8080. When it’s time to open and close your inground pool, you need reliable service. Look no further than Mid State Pool Liners. Our team can be counted on to provide same-week pool opening and closing services year after year. With an expert pool opening company, you can enjoy swimming sooner and have peace of mind when the season ends. When it comes to scheduling our services, the sooner the better. Make an appointment in early April or May, so you’ll be swimming by Memorial Day. Our team does it all upon opening to get your pool crystal clear and sparkling. Remove water and debris from the pool cover prior to service. Water in pool must be up to running level. At the end of the season, we’ll winterize your pool, install the cover and make sure that everything’s ready to perform next year. When you’re opening or closing your pool, contact the only company trusted for 60 years in NJ. If you prepay for both the opening and closing services in advance, you save $50! 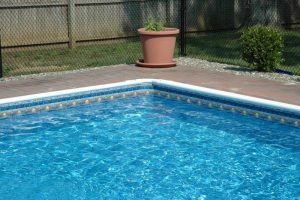 Call 732-390-8080 for a free estimate or to learn more about our pool opening and closing services.